Celebrate an endless summer, in Bali. 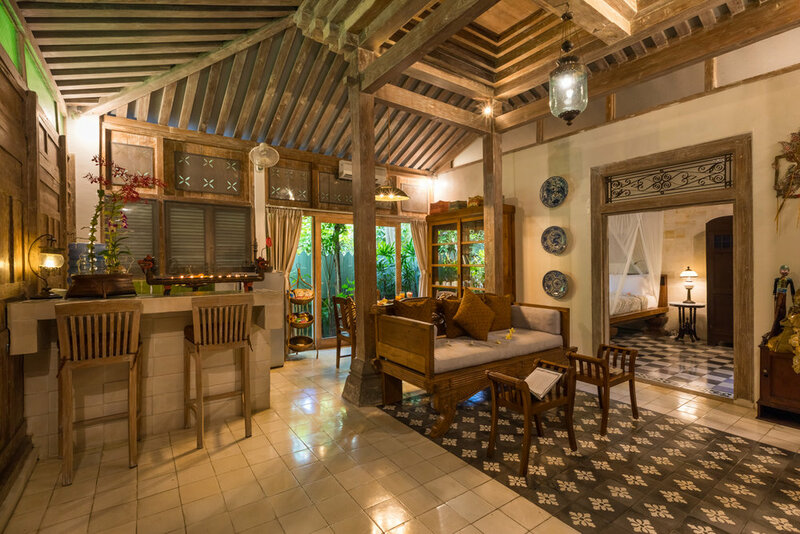 Kampung Kecil bathes you in the charm and authenticity of Javanese rich past century, without sacrifice of modern amenities. 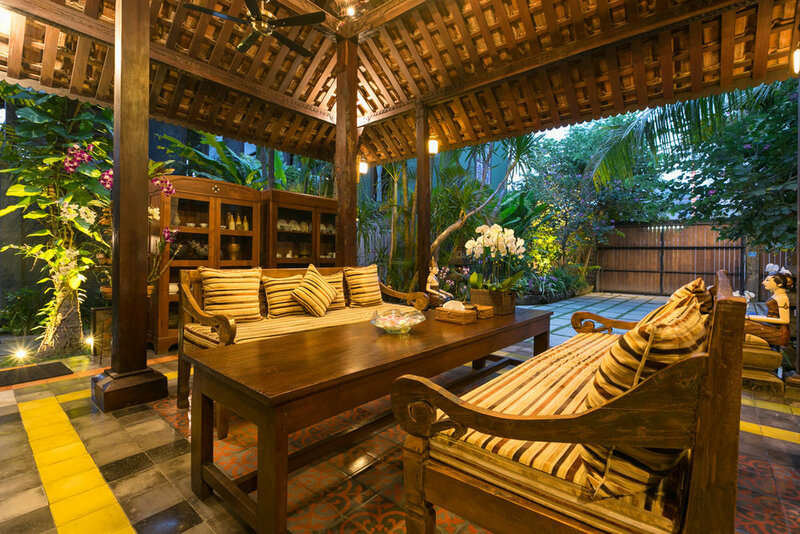 Six antique Javanese teak villas, function as fully equipped vacation homes. All of them come complete with functioning kitchens, sitting rooms, and spacious verandas. All have bedrooms that adjoin environmentally inspired en-suite bathrooms. Kampung Kecil is by itself a tropical garden at the center of which rests a magnificent natural swimming pool. 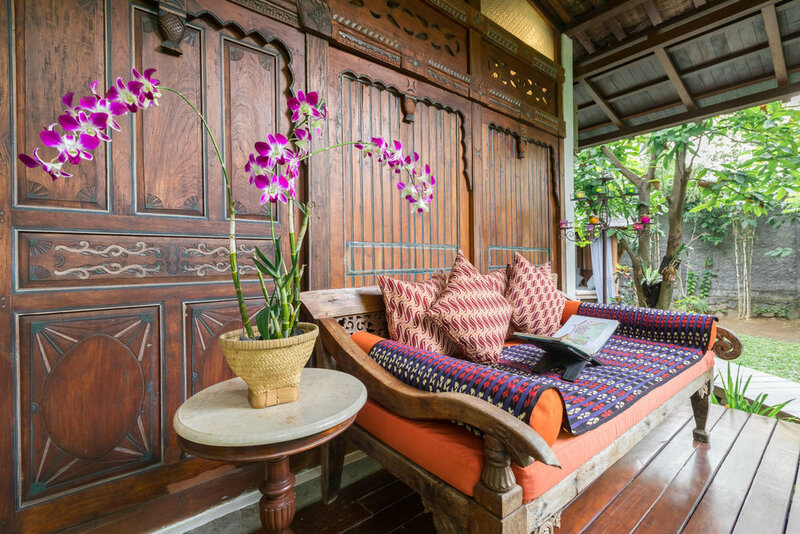 Each villa is a unique piece of art, featuring antiques collected from all parts of Indonesia. Come spend a few nights with us. You will have an experience to remember. 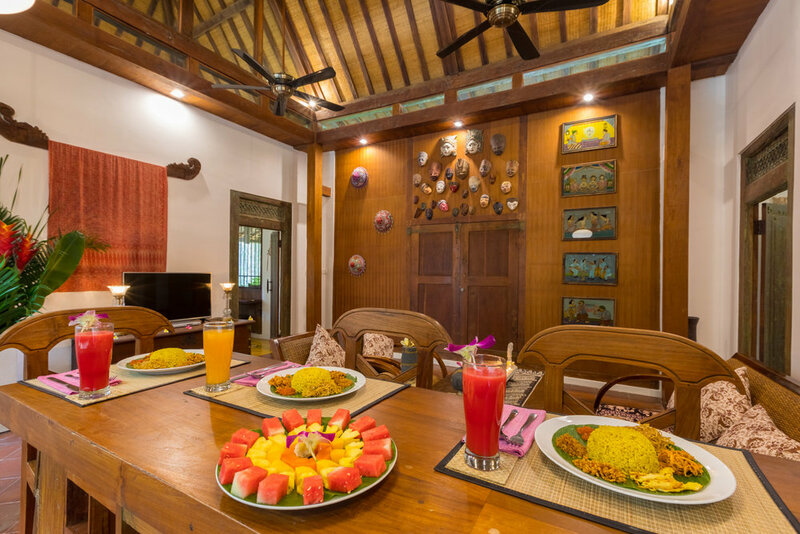 Sanur is an unpretentious village that attracts casual travelers the world over. 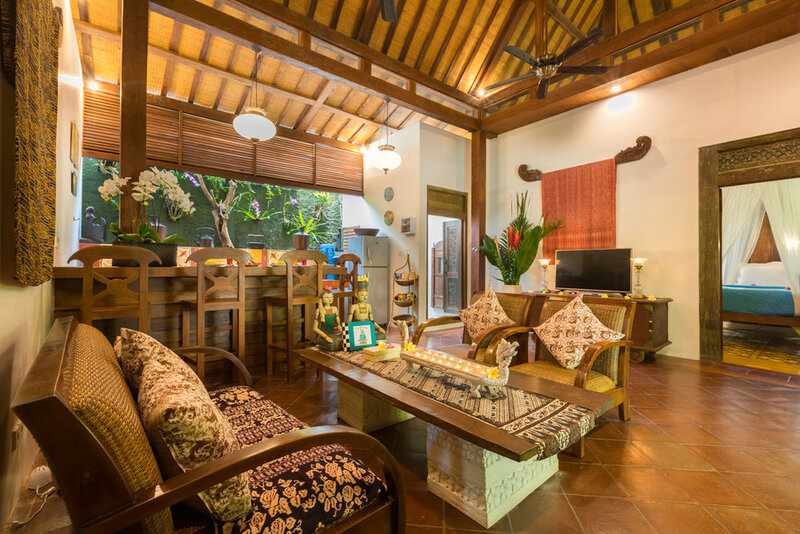 It does not have the glitter of Seminyak, the vibrancy of Canggu, the gayness of Ubud, or the confusion of Kuta, Instead, Sanur offers selective access to all of them, as your time allows. 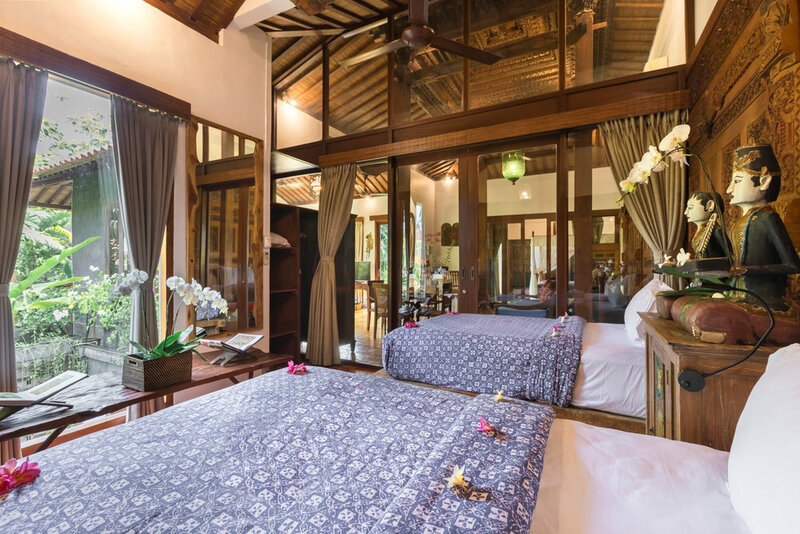 Sanur is also the hub of choice for scuba divers, retirees, and families traveling with their children. It is the perfect base for exploring Bali. Our own beaches and streets are dotted with cafes, guesthouses, and wonderful restaurants. Daily adventures to romantic secluded beaches, ancient temple ruins, secret waterfalls and exotic eateries await your exploration. Most attractions can be reached within an hour. Our concierge services are here to assist you with your activity plans. "Hand-crafted 200 year old traditional Joglos, that take you back in time..."
"A luxurious granite stone bathtub, and a bathroom that looks up at the sky..."
" We strive to exceed your expectations." If you would like to inquire about reservation please send us text on Whatsapp +62811388265 or fill out the form by going to the reservation button below including your intended arrival date and number of nights for your stay, and we will get back to you as soon as possible. We look forward to share with you our piece of serenity! 50% deposit upon booking. Payment is non-refundable, and remaining balance is due 2 weeks prior to arrival date. Direct booking rates include daily breakfast, shuttle service to town, and airport transfers*. Inquire about special package deals that include a UNESCO site bike tour & a silver-jewelry making workshop. 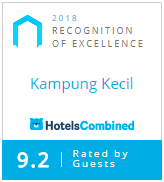 Kampung Kecil guests receive a special rate when booking with our partner tours providers. "All the comforts of the modern world, integrated with the charm of a century long forgotten..."